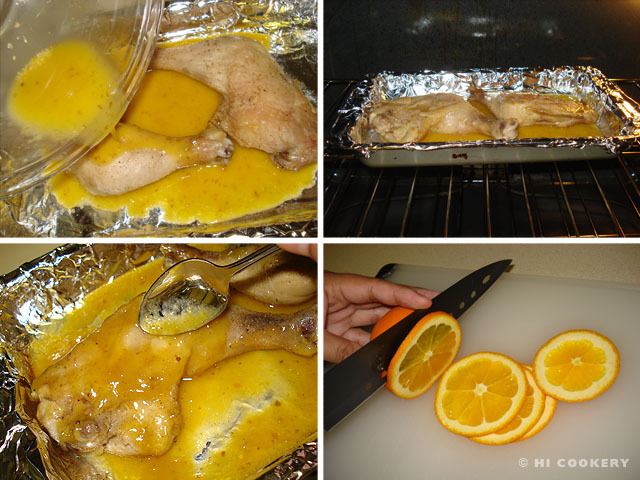 Make a boring baked chicken better by glazing it with a “finger-licking good” honey-orange sauce. This is an extremely easy recipe that we used as newlyweds with limited culinary skills and kitchen tools. We still make this main dish when we do not have much energy to prepare an elaborate meal. 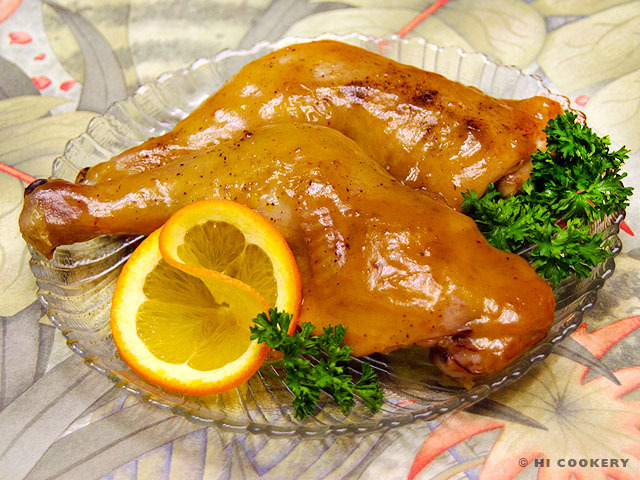 Have some Honey Orange Glazed Chicken during National Honey Month and National Poultry/Chicken Month. Wash and pat dry the chicken parts. Season with salt and pepper. Place on a lightly foil-lined shallow baking pan, skin side up. Bake at 400 degrees F in a preheated oven or until partially cooked through and the skin is browned (about 20-30 minutes). Drain any juices. Meanwhile, make the honey orange glaze. In a small bowl, combine the cornstarch, mustard, soy sauce, honey and orange juice. Mix until well combined. 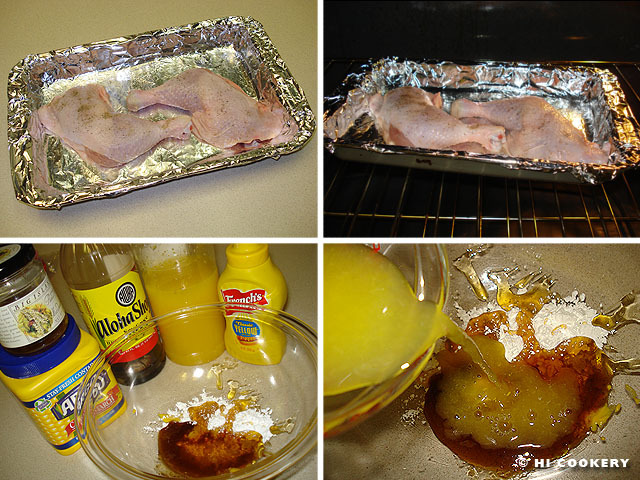 Pour the glaze over the chicken. Continue baking for another 10 minutes until the glaze has thickened. Bake for another 10 minutes, spooning the glaze over the chicken. Remove from the oven. Garnish with a thin twist of an orange slice (optional) and serve hot.